Cannabis is the most common illicit substance used by the Dutch adult general population aged 15-64 years, followed at a distance by MDMA/ecstasy and cocaine. The use of all illicit drugs is concentrated among young adults aged 15-34 years. The gender gap regarding cannabis use remains: last-year prevalence of cannabis use among young adults was approximately 1.5 times higher among males than among females, while last-year cocaine use is reported to have been twice higher among young males than among females. The available data suggest an increase in stimulant use among the general adult population, and young adults in particular, in recent years. Data on the use of illicit substances among students aged 15-16 are reported in the European School Survey Project on Alcohol and Other Drugs (ESPAD). This survey has been carried out regularly in the Netherlands since 1999 and the most recent data are from 2015. The ESPAD studies indicate a decreasing trend in lifetime cannabis use among school-age children over the period 1999-2015. Nevertheless, among students in the Netherlands reported lifetime use of cannabis was notably higher than the ESPAD average (based on data from 35 countries) in 2015. Lifetime use of illicit drugs other than cannabis and lifetime use of new psychoactive substances (NPS), however, were more or less in line with the ESPAD average. Studies among other sub-groups of young people indicate that the use of illicit substances is more common in recreational settings (where cannabis is the most popular substance consumed) and at music festivals (MDMA). Moreover, some NPS, such as 4-fluoroamphetamine (4-FA), are also gaining popularity among this sub-group and use levels are now similar to those of amphetamine and cocaine, although use of other NPS remains low. Wastewater analyses can complement the results from population surveys, by providing data on drug use at a municipal level, based on the levels of illicit drugs and their metabolites found in wastewater. As part of the Europe-wide Sewage Analysis Core Group Europe (SCORE) analyses, Eindhoven and Utrecht indicate a decrease in cocaine between 2016 and 2017. On the other hand, in Eindhoven MDMA levels were higher in 2017 than in 2016. 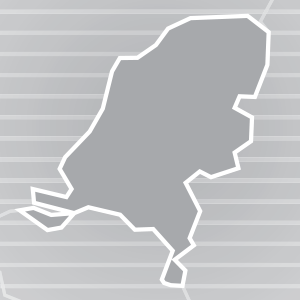 Use of MDMA and cocaine seems to be more common in Amsterdam and Eindhoven than in Utrecht. In the Netherlands, high-risk drug use is mainly linked to use of heroin or crack cocaine. The most recent estimate of the high-risk opioid user population suggested that there were 14 000 high-risk opioid users in 2012 (1.3 per 1 000 inhabitants aged 15-64 years). Available data indicate a decline in the estimated number of opioid users in the last decade. Based on a study in the three largest cities, the prevalence of crack use ranged between 1.6 and 2.2 per 1 000 inhabitants aged 15-64 years in 2013. Many high-risk drug users, including opioid users, also use crack cocaine and a range of other licit and illicit substances. In 2016, a general population survey estimated that 1.4 % of people aged more than 18 years in the Netherlands were high-risk cannabis users. Data from specialised treatment centres indicate that the number of new treatment entrants has remained stable in recent years, following an increase during the period 2006-11. In 2015, the largest group of first-time drug-treatment entrants comprised those who required treatment for cannabis use. Cocaine (crack) is the second most commonly reported primary substance among first-time clients, although the trend indicates a decline in the past decade. The number of primary heroin users requiring treatment for the first time declined between 2007 and 2013, while an upward trend has been noted since 2013. Overall, heroin users entering treatment are older than other treatment clients. Injecting drug use is rare among those entering treatment.